Big data security seems to gain more attention with each passing year. In fact, the World Quality Report of 2015-2016 claims that security is the number one priority, and concern, of IT departments around the world. This is because, over recent years, companies have begun using multiple external applications to carry out company processes. This has greatly increased the security challenges of a company and the risk big data breaches. This includes the integration of mobile devices into the business world. Everyone, from business owners to entry level employee’s, bring their personal mobile devices to work. At some point, they have all connected with the company’s infrastructure, whether it was intended or not. Even if you follow every one of your company’s network security tips and avoid connecting to the company’s network, you could compromise its security. All it takes is plugging your phone into your terminal, PC or laptop to change your phone and your system is potentially at risk. Here are 9 of the biggest security risks company’s must face in regard to big data security. 1) Single Layer Protection. Unfortunately, a lot of the systems that are disturbed these days only come with a single layer of protection. This is obviously not enough for today’s fast paced market. 2) NoSQL. Non-related databases evolve faster than you could imagine. Keeping up with these changes is a full-time job and is something the vast majority of companies struggle with. 3) Data Transfers. Data transfers, especially automated ones, require additional levels of security and monitoring. Unfortunately, this is typically unavailable since the process is being electronically automated. 4) Validation. When a system sends or receives any type of information, it should go through a validation process to ensure that it is from a trusted or trustworthy source. This process is often overlooked in the interest of saving time and money. 5) Unethical IT/Tech Specialists. Some IT and Tech Specialists practice information data mining without notifying or even asking the user for their permission. This can lead to company systems’ being compromised if the information mined could give insight into passwords, new developments, or client lists. 6) Access Control Encryption. IT personnel rely on access control encryption to work properly. If the encryption and connection security protocols become inaccessible, your company is in for a world of hurt. 7) Organization. Very few companies actually take to time to delegate access control throughout the company. It’s important for any company’s security that these levels are created and properly managed to ensure controlled access to specific systems. This minimizes the risk of high-level breaches and data theft. 8) Audits. While it is highly recommended that companies perform audits on their Big Data regularly, very few actually do this. This makes it harder for a company to detect if information is stolen, altered, or otherwise compromised. 9) Monitoring And Tracking. Due to the size of Big Data and how quickly it needs to be processed, it is difficult for companies to properly monitor and track where it is coming from and where it is going. This can compromise the integrity, quality, and accuracy of the information. 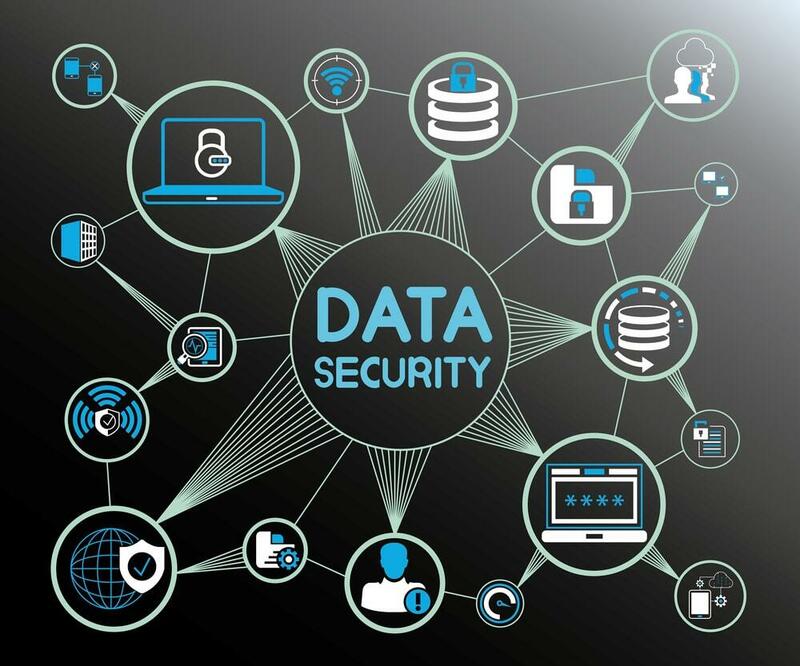 Many experts think that the easiest way to advance the security of Big Data is the continued evolution of antivirus software and platforms. As more antivirus manufacturers begin offering added solutions with more intense system protocols, they will provide a stronger defense that will protect against future security threats. Thankfully, the antivirus community is more open than most other industry communities. The leaders and first movers in this field often share information, concerns and ideas about Big Data treat and how to address them. They also collaborate on the best ways to address and defend against malware attacks, which also helps to protect Big Data. Isolate servers and devices that contain vital data from your main network. By removing these systems from the network, it eliminates the possibility of remote access, thus increasing your security. Emphasize Application Security instead of device security. Most applications are cloud-based. This means that a third-party user could gain access to your systems. Devices can be isolated, removed from a network or even powered down to halt an intrusion in its tracks. Cloud-based systems run non-stop and give users uninterrupted access to your systems, included hackers. Use Proactive And Reactive Protection. By using both a proactive and reactive protection method, you’re actively hunting out weaknesses in your systems while patrolling what is already been identified as a potential risk. It gives a company more control over its network. Use Real-Time Monitoring Software. Real-time Intrusion detection software is a great way to monitor when data is being accessed, by whom, from where and when. It gives you the ability to immediately identify any odd network behavior as it happens. This lets you catch a problem before it gets out of hand. The biggest concern at the moment surrounding big data stems from file storage systems. This includes Box, Dropbox, and Stream Nation. In fact, McAfee Labs released a threat prediction report that stated popular, legitimate cloud hosting platforms and services are at risk of becoming control servers in potential cyber espionage and attack campaigns. The concern is that if a malware was able to get into one of these cloud-based systems, it could hide and execute commands that would go undetected and not arise any type of suspicion. Malware evolves and changes quickly. This is part of the reason why malware is such a major security concern. By the time someone figures out what it is, how to isolate it and combat it, it’s “big brother” is released and working in the background while experts handle the current threat. Unfortunately, companies that handle Big Data have to deal with these problems 365 days a year, with no foreseeable end in sight. It is a never-ending battle that will only continue to become more difficult to defend against. However, you can make the fight easier by taking steps to secure your systems, regulate data access and usage, and actively monitor your networks with real-time protection. Veronica is a tech savvy girl who loves to explore and implement the power of business applications and software. She is currently working as a senior business analyst and lives in NYC. Besides being a tech addict, she is also as avid traveler and love to share lifestyle blog. Why Companies Should Leverage these Cybersecurity Tools?